Houses & Homes VA: What are your favorite childhood Christmas shows? 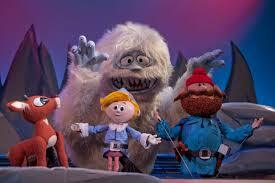 What are your favorite childhood Christmas shows? We all have fond memories of the holiday season from our childhood. For me, nothing says Christmas more than watching my favorite holiday shows from when I was young and eager for Santa to arrive! I’m sure that each of us has our favorites but I have always loved the old classics the most. Each year it seems that advertisers want to begin the season just a little earlier than the year before and a big part of that is watching all of my favorite TV classics so I don’t mind it a bit! If you’re like me you have probably watched the same shows every year since the first time you saw them as a child and even today my youngsters watch many of the classics that were made years before they were born. I’d like to share my top 10 list of favorites with you but to be honest there are many more that are not included here. There are just too many to name but I’m sure you’ll agree that many of these are your favorites too!